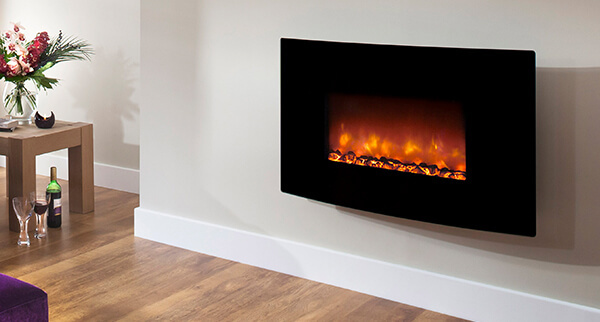 Electric Fires | Electric Fireplace | York, Scarborough - Flames of York & Scarborough Ltd.
Partnering the charm of an authentic fire with low maintenance and mess, an electric fire is the ideal solution. 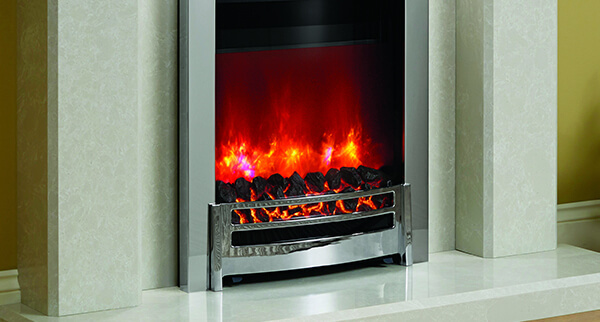 Perfectly mimicking the look and feel of real flames, electric fires mean you don’t need to sacrifice beauty to benefit from this choice. Electric alternatives are a safer, cost-effective option that allow careful control over the degree of heat your fireplace outputs. 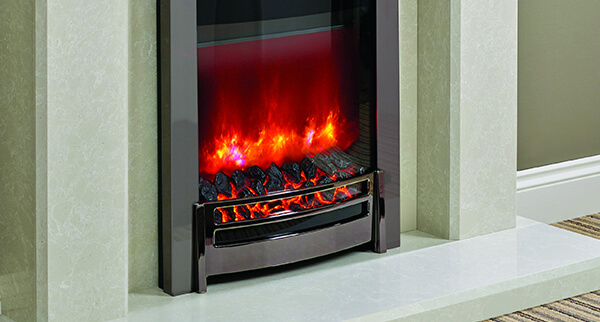 We provide both inset electric fires and wall mounted electric fires to suit your requirements from major brands including Paragon, Evonic and Flamerite. Simply visit our York and Scarborough showrooms to view our full range of fireplaces first-hand – our friendly team will guide you through your options, helping you to narrow down your choices. Whether you’re seeking a pebble, silver, traditional or modern look, we have the style for you. Once you’ve chosen your ideal model, our fully qualified engineers will then carry out a free installation in line with the relevant regulations to ensure a flawless fit. Book your free home visit and survey today, or simply give us a call for some helpful advice – we’re happy to answer all enquiries.